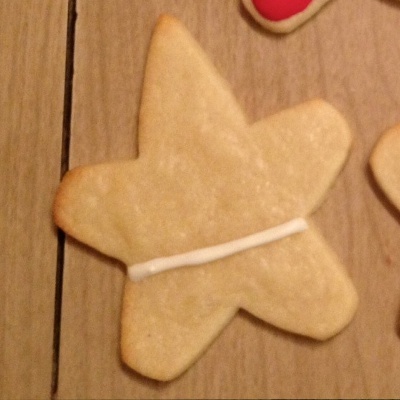 Using white icing, pipe a horizontal line through the middle of the star cookie. Let the white icing dry before proceeding. 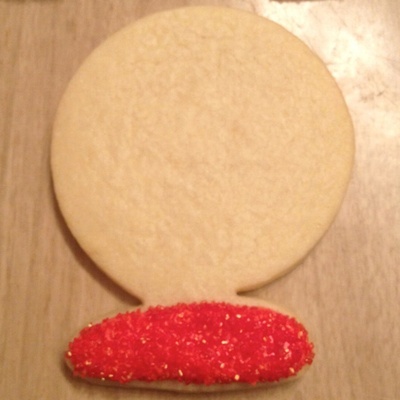 Flood the cookie with red icing to create the body and hat for Santa. 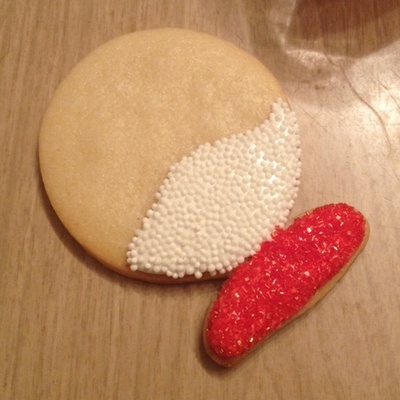 Leave some undecorated cookie for his face. 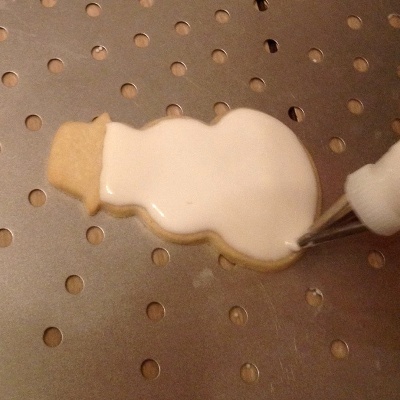 Use white icing to pipe on a beard. 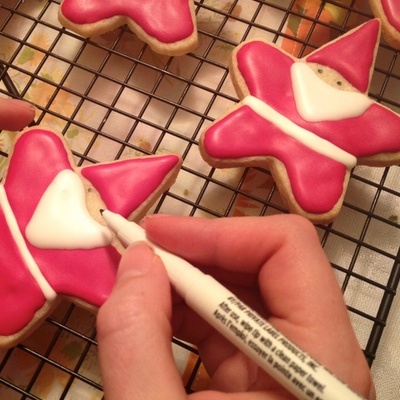 Using a black edible ink marker, draw on eyes for the Santa once the icing is fully dry. 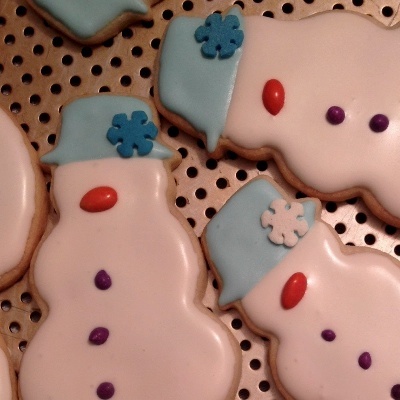 Using white icing, flood the body of the snowmen. 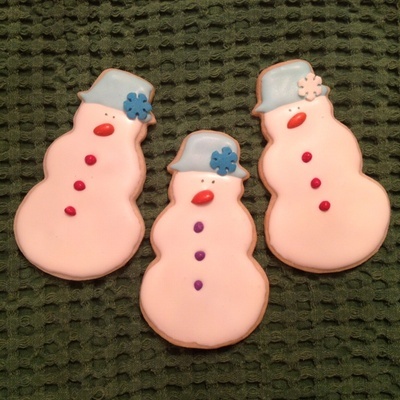 Use colourful candy to attach a nose and buttons to the snowman. You can also sprinkle the body with granulated sugar at this stage (optional). Pipe the hat using blue icing and attach a snowflake sprinkle on one side. Use a black edible ink marker to draw on the eyes when icing is fully dry. Combine all ingredients in the bowl of an electric mixer. Start beating on medium speed until combined. Continue beating, increasing speed to high, for about 4 more minutes or until the icing begins to thicken and almost forms peaks. If necessary, add more powdered sugar to thicken the icing or water to thin it. If desired, add food colouring of your choice and mix to distribute evenly. The icing is now ready to be transferred into a piping bag and used. Royal icing starts to dry out quickly – make sure you cover your bowl of icing with plastic wrap whenever you are not using it. Add food colouring to your icing a little at a time. Many of the colours, especially powdered colours, are very concentrated and adding too much will yield a darker shade than you want. 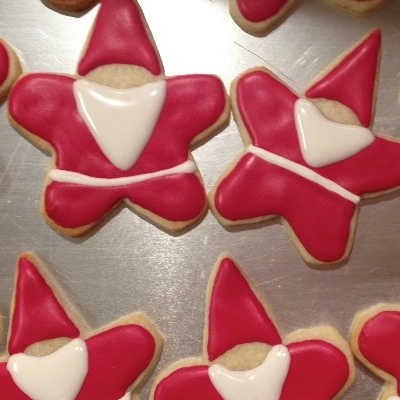 To achieve really bright icing colours, like the red we used for the Santa star cookies, you will generally need to use powdered food colourings. Gel colours will yield lighter colours. The consistency of icing which you will want depends on what you will be using the icing for. 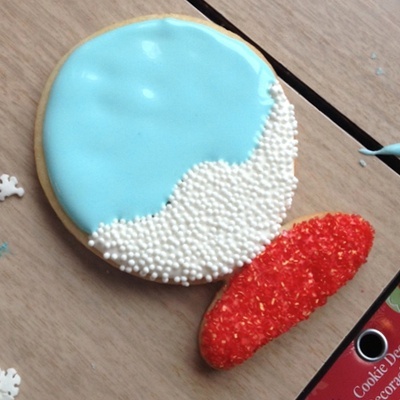 For flooding, covering a large area of a cookie with a single colour of icing, you will want runnier icing. 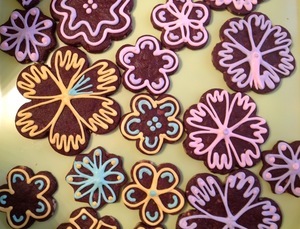 For piping more intricate details on your cookies, such as writing, you will need icing which is a bit thicker. If using royal icing to pipe flowers, such as roses, the icing will need to be even thicker. 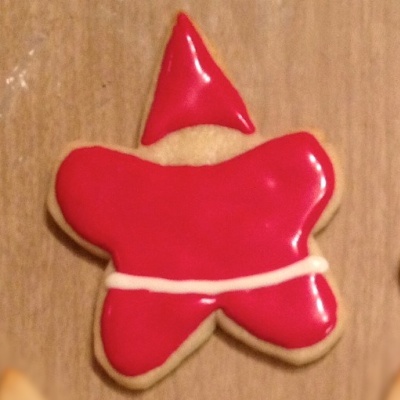 The best way to gauge the consistency of the icing is through practice. Until you are comfortable gauging the icing consistency, you can try working with the icing you have and add more powdered sugar or water if you realize it needs to be adjusted. 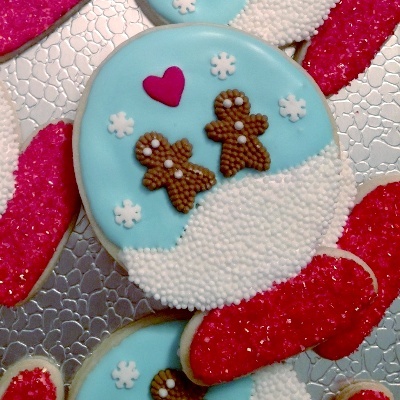 Make sure your decorated cookies are fully dry before stacking them. It is best to leave them overnight to dry before stacking. 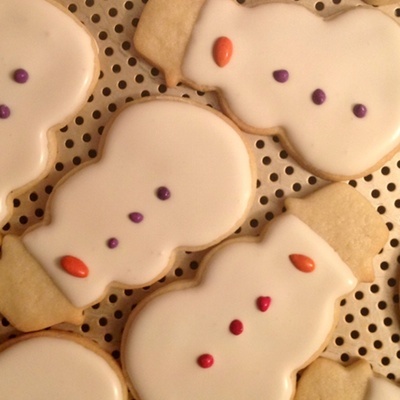 Any unused royal icing can be stored in a sealed container for about 1 week. Mix thoroughly before using.